Pay at delivery with CC/Debit or Cash. Lock, Helmet, and Basket included. 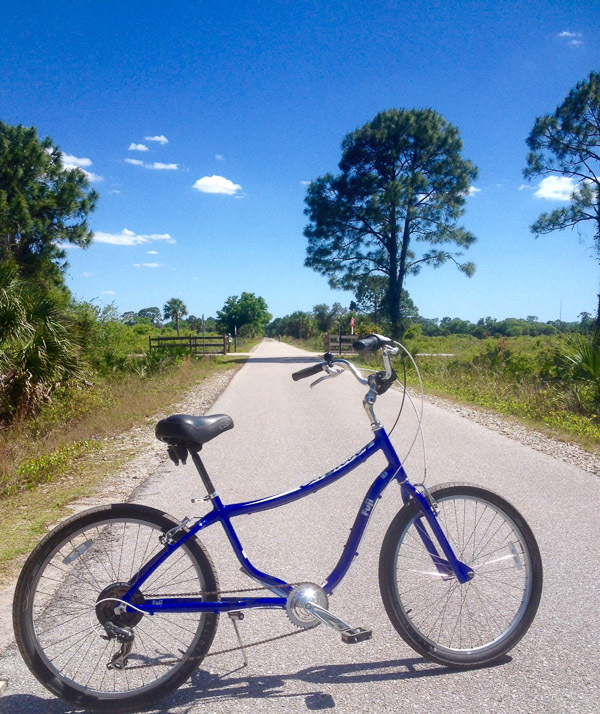 The Legacy Trail is a fantastic resource for the Sarasota County community. We love to ride The Legacy Trail and want everyone to enjoy the experience. Give us a try and find out why we have an excellent word-of-mouth reputation. What a great service! The guys we talked to were very friendly and helpful. They delivered the bike right to where we needed it and picked it up when we were done riding! Will definitely use again when we are back in Florida!